The Constitutional Court Section 38 Inquiry mandated to probe whether Minister of Social Development Bathabile Dlamini should be held personally liable for the SassaGate scandal last year has highlighted serious dysfunction within Sassa, an agency tasked with the critical job of paying social grants worth R10-billion a month. 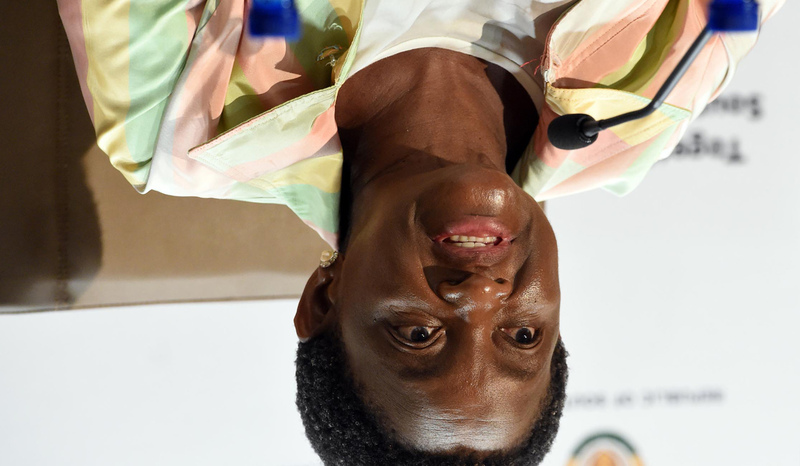 At the inquiry last week an impetuous and evasive Dlamini denied running parallel structures in Sassa and blamed officials for her agency’s failure to take the process in-house. Meanwhile, the AG and the Panel of Experts filed a third scathing report to the ConCourt suggesting that, in future, National Treasury assume the responsibility of paying social grants, and not Sassa. By MARIANNE THAMM. This article has been the subject of a Press Ombudsman complaint. Spokesperson for the Minister of Social Development, Lumka Oliphant complained that the article falsely stated that she had been tweeting from what was described as the official Twitter account of the minister during the inquiry into Dlamini’s role in the social grants crisis. Oliphant argued that the tweets in her name were fake, but that Daily Maverick took them as genuine. She also argues that the reportage has discredited her in her professional capacity. In his ruling, the ombud found that the Press Code was violated in that Daily Maverick failed to verify the Twitter account on which its reporting was based or indicate in its report that the account had not been verified. Oliphant’s complaint was upheld in full. Daily Maverick apologises to Oliphant and Dlamini for not verifying that the tweets were fake, and therefore unnecessarily ascribing them to either of them, and for not exercising care and consideration regarding their reputation. The last two witnesses to testify before the Constitutional Court inquiry wrapped up last week for closing arguments, due on 10 March, were former Sassa CEO Thokozani Magwaza and former Department of Social Development DG Zane Dangor. Both men sketched a toxic environment at Sassa where Dlamini excluded officials and set up parallel structures or “workstreams” that reported directly to her through Sassa project leader Zodwa Mvulane. The workstreams ultimately cost R45-million and were later found by National Treasury to have been appointed irregularly. Dlamini and the workstreams, said both men, appeared to be steering the process towards extending the irregular contract with Net1 subsidiary CPS. With no contingency plans in place, this is exactly what the Constitutional Court was forced to do in March 2017, albeit not without handing down a scathing judgment. While Magwaza and Dangor were testifying at the inquiry last week, over on Twitter a ribbon of tweets, all of which could be regarded as libellous, rolled out on Dlamini’s official account. The minister – who sounded remarkably like her spokesperson Lumka Oliphant – switched from the royal “we” to the third person as she attacked Dangor, saying “we had thought Mr Dangor was a progressive intellectual but later I discovered he was a liberal and not patriotic”. Dlamini-Oliphant also tweeted that “at trying times Mr Dangors (sic) ideas were always at par with those of the liberals and sometimes reactionaries”. On January 31 Dlamini-Oliphant tweeted, “It is shocking to see men who pride themselves in believing in non-sexism as part of those who are fighting for the emancipation of women, me who seem brilliant when they bow to chauvinism as to keep their dignity #SASSAinquiry”. Dangor is taking legal advice with regard to the tweets and whether Dlamini should return to the witness box and face a cross-examination in relation to these claims related directly to their testimony at an inquiry appointed by the Constitutional Court. Meanwhile, of course, the clock is ticking for the next looming deadline for Sassa and SAPO to resume the major responsibility of paying social grants to around 17 million South Africans on 1 April. Right now it’s code red, at least according to the 29 January third report to the Constitutional Court by the Auditor General and the Panel Of Experts appointed by the court. Apart from asking for more detail and clarity on the Sassa/SAPO deal signed in December 2017 and which kicks in when the extended contract with CPS comes to an end on 31 March 2018, the panel expressed concern at the lack of detail, concrete timelines or any contingency planning. The AG and the panel found that Sassa faced two main risks in respect of cash payments – securing approval from the ConCourt for the extension of the CPS contract beyond 1 April 2018 in order to allow for the phase-out of CPS, and the phase-in of new service providers as well as the signing of a transitional agreement with CPS to ensure the continuation of cash payments from 1 April 2018 as well as the phase-out of CPS once the new service provider had been appointed. “Neither of these is in place,” noted the panel. SAPO’s claim that it would be responsible for the payment of one million social grants via its footprint in rural areas was, the panel found, “overly optimistic”. Banks, remarked the panel, would not be able to establish no-fee accounts in time for 1 April. If you thought CPS and Net1 were exiting stage left, think again. The panel was particularly critical of Sassa’s inability to inform beneficiaries that the controversial Grindrod Bank/CPS EasyPay Everywhere card is not a Sassa card and that “the current system of recourse and redress for beneficiaries who experience problems with payments is wholly inadequate”. The signing up of beneficiaries for EasyPay Everywhere accounts had continued and had reached two million in December 2017. The panel said it had taken note that Sassa had taken steps to address “the aggressive signing up of beneficiaries for EPE accounts” but remained concerned about the agency’s “seeming inability to stem the misinformation about the EPE card as the new Sassa card”. In some instances Sassa and CPS staff were allegedly marketing the EPE accounts on Sassa premises and at cash paypoints. The panel noted that it is “extremely concerned” by Sassa’s plans “to transfer payments directly from its PMG (Paymaster General) account to beneficiary provided bank accounts including EPE accounts as part of its hybrid model, and this direct transfer is provisionally scheduled for the February 2018 payment cycle”. The concern arose from the fact that the EPE accounts were a major source of complaints with regard to illegal deductions and financial products that beneficiaries claim they did not sign up for. “Opening an EPE account is a prerequisite for applying for a loan from Net1 and once opened beneficiaries can no longer use their Sassa cards to access their grants. Beneficiaries experience great difficulty in closing the EPE accounts once they have paid their loans, and even where they have not been successful in their loan application, they are unable to close the EPE account immediately,” said the panel. The process of closing an EPE account “is arduous” and resulted in beneficiaries incurring enormous financial costs for telephone calls and transport. Sassa, said the panel, had not not taken concrete steps to secure the required mandate from each of the two million beneficiaries for the direct transfer of their grants into the EPE accounts. Instead Sassa had told the panel that it had not targeted beneficiaries with existing EPE accounts “as they were relying on the mandate provided by Net1 when the EPE accounts were opened”. The panel warned that the implications for beneficiaries receiving payments directly into their EPE accounts had not been explained and that “there is a risk that beneficiaries will be locked into bank accounts that have less favourable terms than other payment options”. The AG and the panel’s report runs to 50 pages but perhaps the most notable are the findings by the Department of Performance and Monitoring and Evaluation of Sassa. This department was requested to perform this evaluation because of Sassa’s lack of proper institutional governance, capacity and oversight. The Department of Performance and Monitoring and Evaluation found that Sassa had not developed its own culture and ethos inspired by the vision for the entity of “paying grants at the right time, to the right person, all the time”. The agency’s organisational culture, it was found, “is characterised by a lack of agility and innovation stifled by heavy bureaucracy, characteristic of a government department”. Other organisational weaknesses could be attributed to the absence of governance and accountability, a lack of effective oversight and consequence management. It was found that “despite the existence of separate audit committees” for the Department of Social Development and Sassa, “preliminary indications are that their recommendations or audit queries are simply ignored by both Sassa and the DSD”. The Department of Performance and Monitoring and Evaluation was of the opinion with regard to the proposed new system for the payment of social grants that Sassa’s governance model and the appointment of a governance structure were not only “critical” but “urgent”. The most devastating criticism from the Department of Performance and Monitoring and Evaluation and contained in the experts’ report is that the Sassa Act be reconsidered to strengthen the autonomy of Sassa’s CEO and that a permanent CEO be appointed in order to ensure stability across the organisation. Among other suggestions also is that Sassa be restructured. The Section 38 Inquiry and Dlamini as well as Dangor and Magwaza’s testimony are proof that the Sassa Act, as it stands, undermines the autonomy of the CEO, allowing the minister to treat the agency as a personal fiefdom. The panel recommended that the court instruct the Director General of the Department of Planning Monitoring and Evaluation to “investigate the efficacy of the Sassa Act in respect of the strengthening the autonomy of Sassa and of Sassa’s CEO”. It also requested an investigation into “the appropriateness of Sassa being a public entity responsible for the payment of social grants, the appropriateness of Sassa being a public entity without proper institutional governance capacity and oversight (e.g. by way of a board)” as well as the “desirability of moving the payment function of social grants to the National Treasury (or other appropriate organ of state) leaving the registration, verification and administration of social grant beneficiaries with Sassa or the Department of Social Development”.